Planning a visit to New York City? 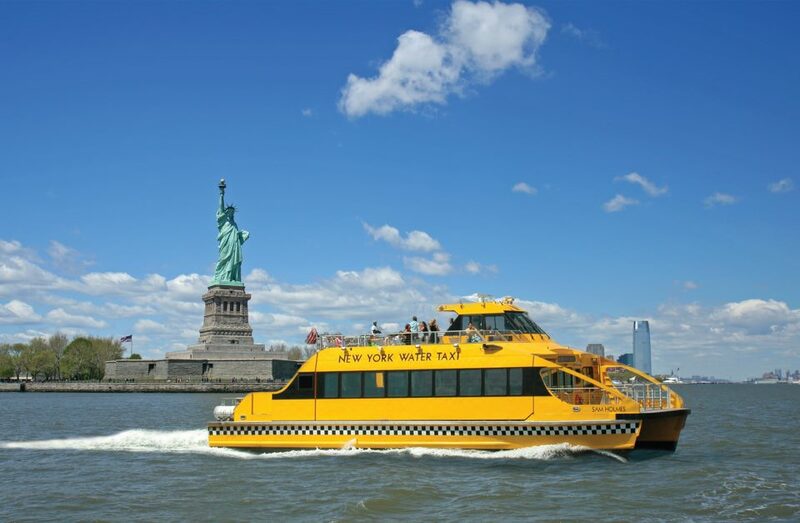 Great way to get around the island of Manhattan, and over to Brooklyn too. Recommend the Hop On/ Hop Off all day pass in good weather. If you are planning to do the full-on tourist thing, check out the City Pass. The best thing about it? It will let you skip the lines! ½ priced Broadway Shows and theater tickets. If you are into massive sculpture, Storm King is not to be missed. One of the most impressive outdoor sculpture collections on the planet, about 1.5 hours drive North of NYC in the beautiful Hudson Valley, or you can take a bus from Penn station. Well worth a day trip out of the city to experience. Also a great day trip out of the city, the Dia Art Foundation is a huge private modern art collection located in an old Nabisco printing factory in the town of Beacon, on the East side of the Hudson River. You can take a train from Grand Central or 125th St in Harlem and be there in a little over an hour. Worth going just for Richard Serra’s Trio of Torqued Ellipses, which are breathtaking. Maps/Food: NYC Food Map is awesome. Blue Bottle Coffee cart up top around 14th Ave (Best coffee in NYC!). Great hang out in good weather, nice sunset walk. Alternative views of the City. Around 21st and 24nd St. between 10 – 11th Ave there are lots of world-class art galleries. Thursday nights is opening nights for new shows and is a big scene. 9th Ave at 15th St. Fantastic indoor food market – used to be a big biscuit factory – really cool atmosphere but can sometimes get nightmarishly crowded, especially on weekends. Find something interesting for everyone who loves food: lobster on paper plates, asian tacos, Cambodian bahn mi on toasted semolina baguettes, and the best gelato in Manhattan at L’Arte Del Gelato. Don’t miss. Hang out on the Hudson River on a funky old pier overlooking New Jersey. Perfect sunset spot in good weather! Outdoor seating and super casual in an overpriced-but-worth-it NYC way. Think bikers & buckets of beer + pitchers of white sangria & kale salad + fancy burgers on paper plates and the best fish and chips in town…). Kayak or Paddleboard on the Hudson river! 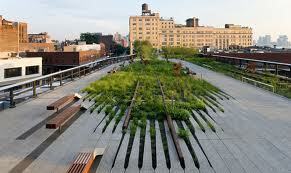 This place is also on Pier 66, right next to Maritime and offers a number of tours and adventures. Fantastic views of the city from the water. Free Kayaking is also available at various other locations around the city. HUGE Sports/Entertainment Complex on the river… health club, batting cages, 2 ice skating rinks, golf driving range, bowling….worth seeing, at least. Cool public lobby/wifi space, great for handing out, people watching, taking a break. #7 Sub Shop is on 28th, attached to the Ace Hotel – great innovative sub sandwiches. Stumptown Coffee Roasters also in on side of Ace – great coffee. Best $15 Haircut anywhere in hilarious old-timey NYC atmosphere. 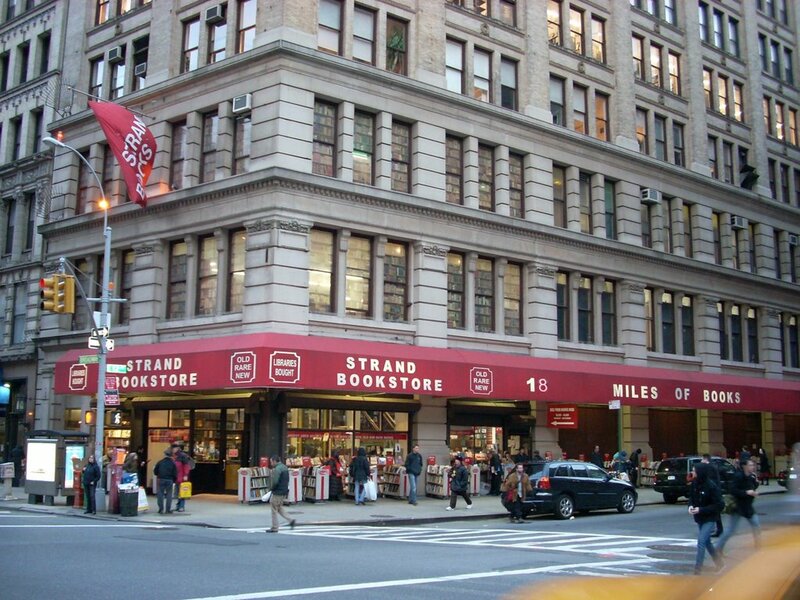 18 miles of new and used books in a great atmosphere. A NYC landmark. Great little jazz/blues bar with live music every night. Look out for guitarist Mike Stern on Monday and Wednesday nights when he is in town. 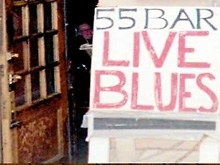 Supposedly NY’s oldest rock club, but great jazz bar too. Look out for guitarist Oz Noy on Monday night when he is in town. Famous for blues guitarists and singers. 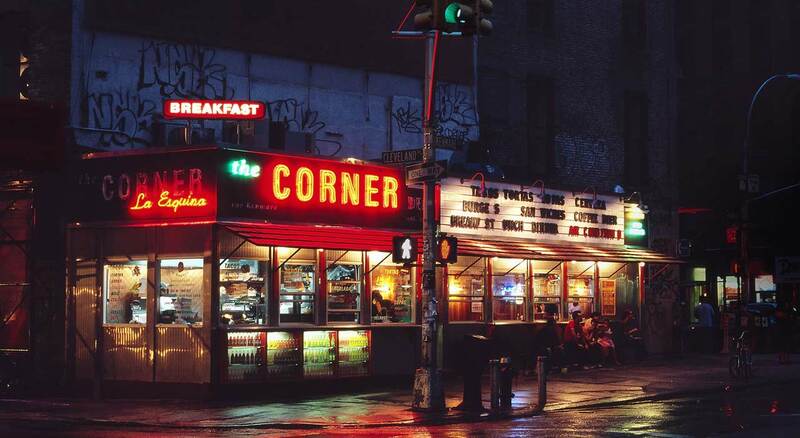 A hidden blues gem on the second floor, overlooking Bleecker St.
Best damn falafel you can get anywhere…for like $3.00?…at 4 in the morning! I love this place! Fresh, smoked mozzarella like you have never tasted it. This place is another NYC gem. Live Latin and African music and supposedly very good food. (I have not been yet). 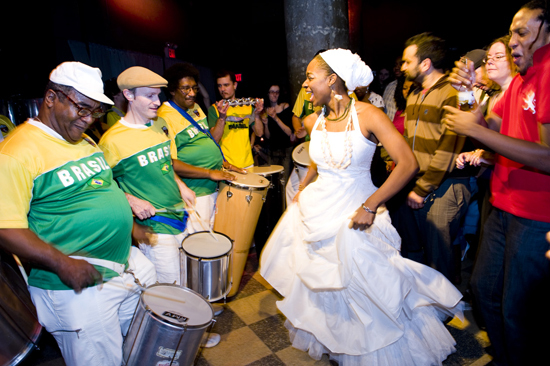 Bossa Nova Brunch on Sundays, with open sangria bar… let me know how it is if you go! 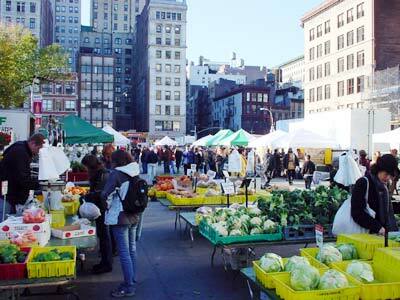 Best farmer’s market in the city… lots of artisanal products. Great for lunch or a light snack – there are always good food carts here and its great for people (and celebrity chef) watching! Various art installations and live concerts throughout Spring and Summer. Celebrity Chef Danny Meyer’s burger joint. GREAT ‘Shroom Burgers. Funds go to support the Park Conservatory. Amazing for spices, herbs and condiments – Indian and otherwise. Great gifts for cooks and foodies here. Supposedly great cheap Italian. Highly recommended to me but I have not yet been. Let me know. Amazing dessert cafe with a Prix Fixe dessert menu. A don’t miss it NY experience for dessert lovers. 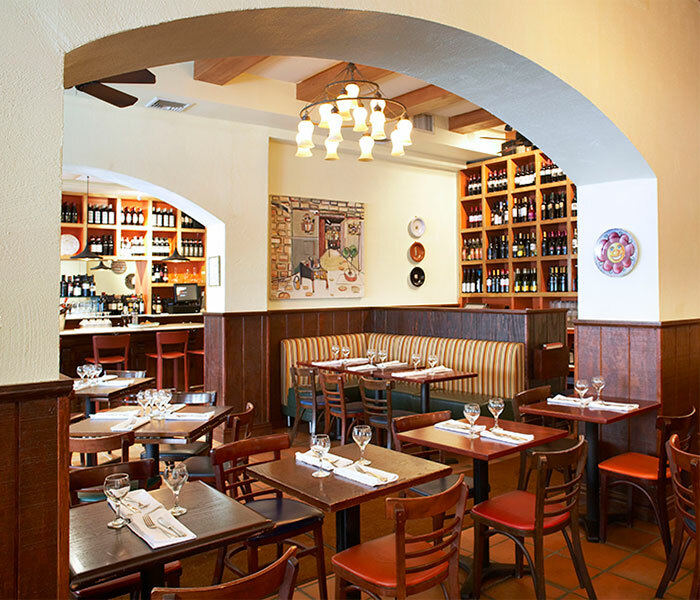 Fresh, delicious Italian and Spanish dishes with sidewalk seating. Everything is so so good… and don’t skip the bread! Or the patatas bravas, or any of the veggie side dishes, which you can order a whole table full like tapas. Highly recommended. This place is vying with Vinetaria for my current favorite neighborhood restaurant. Nice seasonal menu – super fresh veggie dishes, seafood perfectly cooked, interesting combinations. Nice waitstaff and outdoor seating. Delicious sangrias! I remember when this building was a “Fix Flat” tiring changing place, with hubcaps on the windows… Harlem, you’ve come a long way. Old timey little French Bakery/African café, outdoor seating on nice days. Friendly neighborhood cafe with outdoor seating, just off the park. Nice for breakfasts or light lunch. Food: Lee Lee’s Baked Goods. Really nice Ethiopian food. A super fun, delightful food adventure if you like to eat with your hands. Fresh sourdough injera, topped with different interestingly spiced overcooked mushes, and served with more injera to sop it all up. It’s completely delicious. Currently closed, but I am eagerly awaiting their reopening. Very interesting East Indian menu in a terrific atmosphere that is not to be missed. Open up again soon, please! 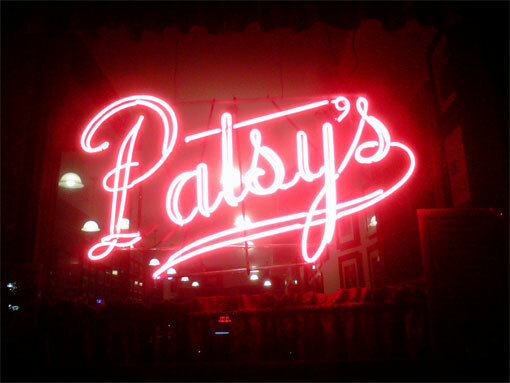 Classic old-timey NYC vibe and one of the best thin crust pies in the city. Worth the shlepp into this somewhat desolate but unpretentious neighborhood. Supposedly Frank Sinatra’s favorite pizza place. 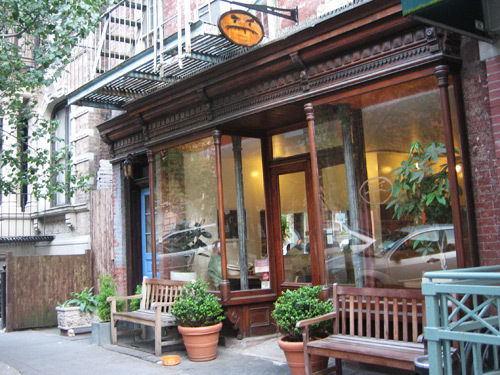 Fantastic Non-profit restaurant which supports Bette Midler’s New York Restoration Project. 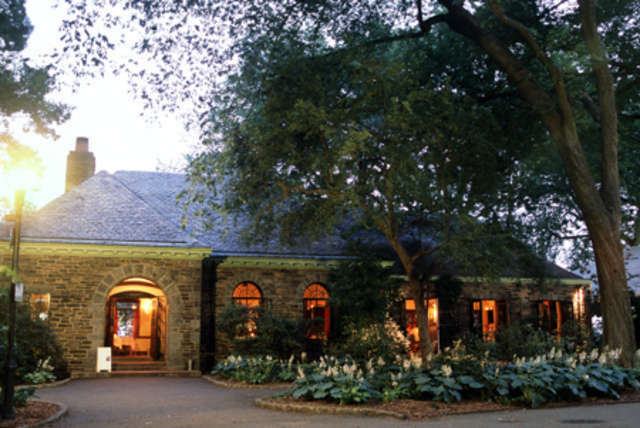 Located in Ft Tryon park with outdoor seating, it’s a great brunch spot on a sunny day. You can walk to the Cloisters Museum from here. Live music on Friday Nights. Yummy stuffed Indian roti – great for cheap bite on the go. Great great great Thai food in a noisy, boisterous setting. One of my top 3 favorite Italian places in NYC. Really great food and desserts too. Can be very very crowded and noisy on Friday/Saturday nights so plan accordingly. Classic French Pattisserie, but they do a great job. 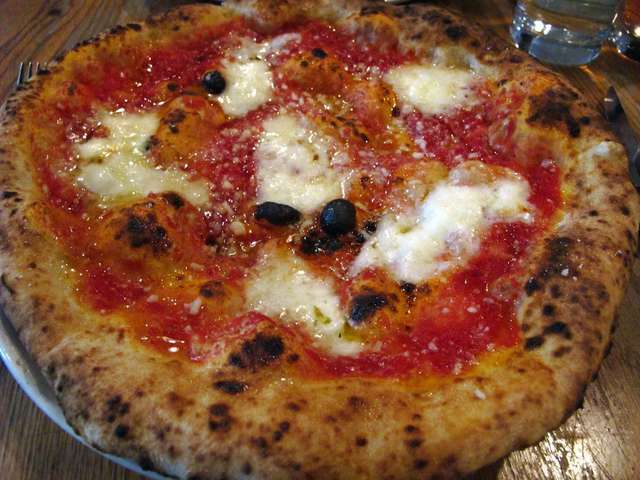 Fantastic pizza and all their food is amazing. Check out the video. A classic Brooklyn institution. Super industrial, funky and arty area… non-touristy. Lots of artist galleries on/around the Pier. Take the water taxi there from Pier 11. Great food – famous for dumplings. That’s it for now… if you have any more recommendations of great places to go in NYC, please let me know!